Maeve Whelan qualified in 1986 from Trinity College Dublin. She worked abroad, in the general hospital setting and in the Rotunda Maternity Hospital for 3 years before setting up in private practice Milltown Physiotherapy in 1993. She has a post graduate Diploma in Physiotherapy in Obstetrics & Gynaecology from TCD in 1991 and a Masters of Science from RCSI in 2013. She works with Mens and Women’s Health treating bladder and bowel conditions, pelvic organ prolapse, chronic pelvic pain and sexual dysfunction. Maeve was awarded the title Specialist Member of the Irish Society of Chartered Physiotherapists in 2008 and again in 2013 in the area of Women’s Health & Continence. Her special interest is manual therapy of the pelvic floor. Maeve presents at conferences and teaches post graduate Women’s Health physiotherapists, courses are run in Ireland and abroad. BSc. Physio (Hons) M.Phty (Manips) M.I.S.C.P. Helen MacDevitt has worked in private practice for 25 years and she is one of the partners at Milltown Physiotherapy Clinic. 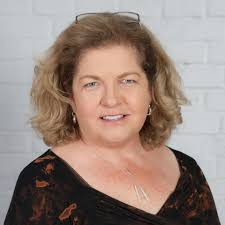 Helen qualified with an Honours degree from Trinity College in 1991 and achieved a Masters Degree in Manipulative Therapy in The University of Queensland, Brisbane, Australia in 1997. Helen spent 6 years working in Australia and has worked in private practice for 15 years.Her field of specialty is Musculoskeletal Physiotherapy. Helen has a special interest in treating Women’s Health disorders and is skilled in Dry Needling. 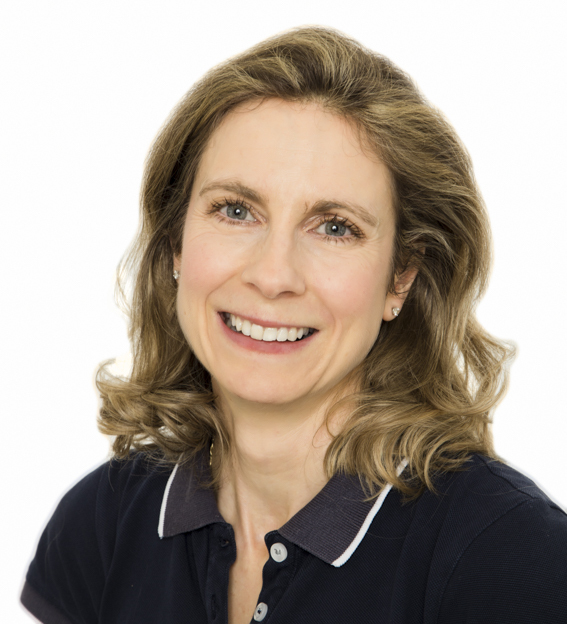 Helen is also trained and highly experienced in the use of Real Time Ultrasound as a biofeedback tool in the management of spinal and lumbo-pelvic pain. This advanced technology enables the patient to see their muscles on screen and be specific in their training. 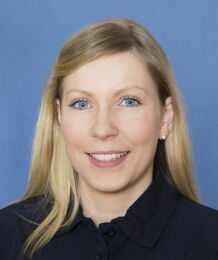 Helen is married with 3 children and has played hockey representing Leinster and Ireland under 16, 21 and Senior level. She is a keen runner and walker and can be regularly found down the West Pier enjoying the sea air or sea swimming at Seapoint. 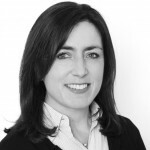 Mary graduated from Trinity College Dublin in 1991 with an Honours Degree in Physiotherapy. She was a competitive athlete through college and started in private practice soon after with a special interest in Sports Injuries. She joined Milltown Physiotherapy in 1994 and and worked as a partner for over 20 years. She became a Licensed Acupuncturist in 1996 through the British College of Acupuncture. 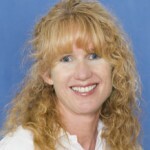 She obtained a Certificate in Spinal Manual Therapy from Australia in 2002. She has attended a wide range of post graduate courses to develop her skills but has particular interest in Lower Limb Biomechanics, Orthotic Prescription and Pelvic Girdle Pain in Pregnancy. Mum of three Mary is a competitive offshore sailor and has raced her yacht ” Jedi ” in the Round Ireland and Fastnet races. Mary likes to hill walk and swims in the 40ft all year round. 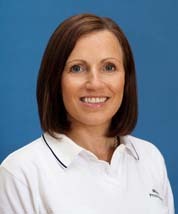 Elaine qualified in 2001 from UCD with an Honours degree in Physiotherapy. She gained experience in the National Rehabilitation Hospital, St. Vincent’s Hospital and also travelled and worked in Australia. In 2006/7 she completed her Masters in Neuromusculoskeletal Physiotherapy in University College London. Elaine has a worked with FAI soccer and UCD rugby and enjoys treating sports injuries, particularly runners and tri-athletes. She has also a special interest in Women’s health including pilates, pelvic floor rehabilitation and pelvic girdle pain. Elaine has a qualification in British Medical Acupuncture which allows her to use dry needling as part of her treatment approach. Elaine played all- Ireland basketball and hockey at school level, university basketball and then took up running and triathlon- did the Chicago Triathlon in 2006 and the Dublin Marathon in 2005. Also have done the Connemara and Achill Half marathons a few times and multiple 10 km runs and smaller triathlons! Stephanie Crossland BSc. Physio (Hons) M.I.S.C.P. Stephanie graduated from Manchester University in 1995, with an Hons degree in physiotherapy. She worked in the NHS in England for 4 years and then moved to Sydney, Australia for a year, where she was employed in private practice. 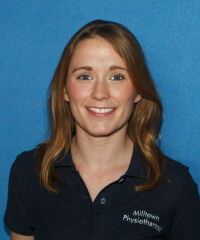 Stephanie moved to Dublin to continue working in private practice and started in Milltown physiotherapy in 2004. Stephanie has a master’s degree from Keele University, England, which was completed in 2008, in Neuromusculoskeletal Healthcare. She has attended a wide range of post-graduate courses to expand her knowledge and skills and is fully trained in the practice of trigger point dry needling. 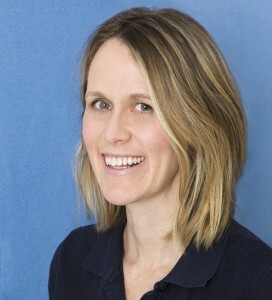 Stephanie has a special interest in the treatment of pelvic girdle pain, postnatal rehabilitation of muscle separation post pregnancy and women’s health conditions including pelvic organ prolapse and continence issues. Stephanie is also trained in cancer rehabilitation through a program called, Strong pink women. In addition, she is qualified APPI Pilates’ instructor and teaches both antenatal and mother and baby Pilates’ classes in the clinic. Stephanie began trampolining at the age of 11, in her local sports centre in Burnley, where she grew up. She went on to compete with The Lancashire Squad and Black Burn College. Stephanie won a Bronze Medal in The National Championship. She finished competing at the age of 21 and coached trampolining for several more years. Una Cusack BSc Physiotherapy (Hons); MSc Clinical Neuroscience (Dist) M.I.S.C.P. Una graduated from the University of Brighton in 2003 having had placements in London; Kent; Surrey and Sussex. She returned home to work in a range of Dublin hospitals which included the Royal Hospital Donnybrook, St Vincents University Hospital, Childrens University Hospital Temple Street and National Maternity Hospital Holles Street. Una’s hopes to return to London to specialise further were fulfilled whilst working as a Senior Neurological Physiotherapist in the Wellington Hospital, National Hospital for Neurology & Neurosurgery Queens Square, London Clinic Marylebone and BUPA Cromwell Hospital Kensington as well as other NHS and Neurorehabilitative centres. Una’s keen interest in Neuroscience; Neuroanatomy; Neuroplasticity and the essential nature of keeping up with advances in clinical and more abstract neuroscientific research led her to undertake a MSc Clinical Neuroscience (Dist) in Kings College London. She gained publication in the Journal of Neurological Sciences with research focused on the Determinants of Mismatch in Acute Stroke with particular draw from Neuroimaging. Una comes most recently from the National Rehabilitation Hospital Dun Laoghaire working as the Senior Paediatric Physiotherapist treating children 1-18 as well as clinically advising nationally. In the NRH she rehabilitated children with Brain; Spinal; Vestibular; Multi trauma; Limb loss and Disorders of Consciousness well as acting as Senior Vestibular Physiotherapist & Senior Adult Spinal Physiotherapist. Una has particular interest in Neurorehabilitation of Brain; Spinal; Peripheral Nerve; Neuro-Oncology; Central Vestibular problems (eg. Brain injury & Tumours; Guillain-Barré Syndrome); Neurology (eg Parkinsons; MS) as well as Neurosurgical patients. Una would be delighted to assist patients Paediatric & Adult in whatever way she can on their journey of recovery or maintaining their mobility within the limits of their conditions. Una represented School and University Team Tennis as well as Fencing in Kings College London which she has enjoyed returning to in Dublin. She also enjoys Pilates (qualified instructor of Australian Institute of Physiotherapy Pilates); Cross skipping and Archery. Una was on the medical team for the Special Olympics World Games and has interest in Paralympics and sports re-enablement. Noreen Dockery BSc. Physio (Hons) B.A. (Hons) M.I.S.C.P. Noreen graduated from the Royal College of Surgeons in Ireland as a mature student in 2002 having first completed an Honours Degree in Physical Education at the University of Limerick in 1995. After graduating, she worked in Mount Carmel Hospital, Dublin and in St. Vincent’s University Hospital, Dublin.Noreen joined Milltown Physiotherapy Clinic in 2006. She is a trained Cyriax practitioner giving her skills in treating orthopaedic and sports injuries and she has continued to extend her skills and expand her knowledge by attending numerous postgraduate courses.Noreen’s areas of special interest are Women’s Health Physiotherapy including Pelvic Floor Rehabilitation, Ante and Post Natal Pelvic Girdle Pain and Dry Needling for treatment of Myofascial Trigger Point pain. Aisling Dolan BSc. Physio (Hons) MSc (Neuromusculoskeletal Physio) M.I.S.C.P. Aisling graduated from Manchester Metropolitan University in 2009 after which she completed junior hospital rotations with the NHS. Aisling then worked in primary care with the HSE for 3 years, specialising in paediatrics where she ran a neuro-developmental and musculoskeletal paediatric clinic. She also worked part-time in private practice, and was the team physiotherapist with county GAA minor and senior football teams, where she gained valuable experience in pre-season injury screening, acute injury management and return to sport specific rehabilitation. She further developed her skills in manual therapy when she completed a masters in Neuromusculoskeletal Physiotherapy in UCD in 2014. Here she combined her particular interests in paediatrics and musculoskeletal physiotherapy by completing a thesis investigating the physiotherapy management of over-use injuries in youths playing sport. Aisling travelled to New Zealand for 2015-2016, were she worked in private practice, treating injuries relating to snow and extreme sports such as skiing and rock climbing. 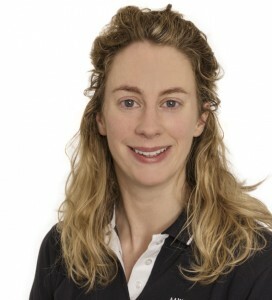 Aisling is qualified in myofascial dry needling and teaches pilates. Aisling represented her country in athletics and now enjoys playing basketball, hiking and skiing. Laura Fitzpatrick BSc.Physio (Hons) MSc. (Neuromusculoskeletal physio) M.I.S.C.P. Laura graduated from Coventry University in 2008 and completed her junior rotations at University Hospital Coventry and Warwickshire NHS Trust. Here she gained valuable experience across all of the core areas of physiotherapy, including intensive care, amputee rehabilitation, orthopaedics and musculoskeletal physiotherapy. Laura also worked as the club physiotherapist for a rugby club for 2 seasons. Laura then went on to work as a locum in the UK in between some time spent travelling. She primarily worked in the area of sports injuries, post op rehabilitation and neck and back pain. 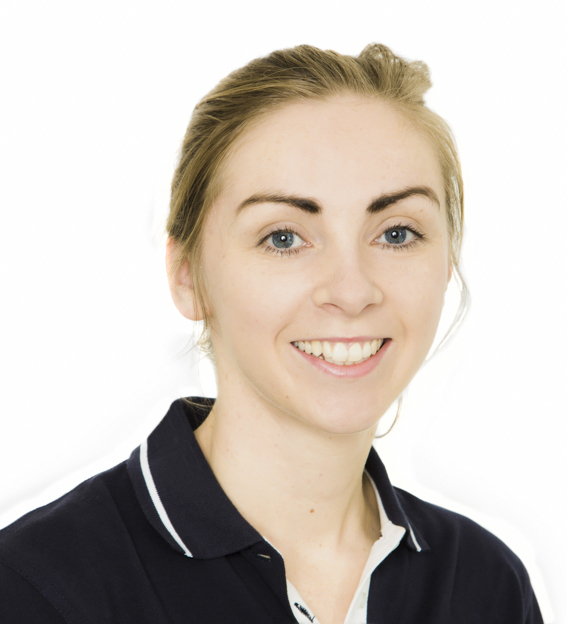 Laura has completed many post graduate courses and has a particular interest in Pilates, dry needling and the use of acupuncture for pain management. Laura also has a keen interest in treating women’s health problems- including pelvic floor rehabilitation and Pilates in the clinical setting. Frank graduated with a BSc. Honours degree in Physiotherapy from Queen Margaret University, Edinburgh and went on to complete a Masters in Sports Physiotherapy in UCD. He also holds a previous BSc. Degree in Science from N.U.I. Galway. Frank has worked as the head physiotherapist of St. Johnstone Football Club of the Scottish Premier League treating numerous international players on a full-time basis. 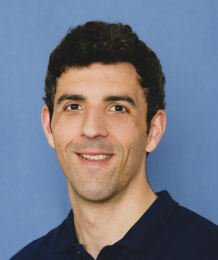 He is a visiting lecturer and practical instructor in UCD on the undergraduate BSc Physiotherapy program. He has been awarded Level 2 Sports Physiotherapy accreditation by the Chartered Physiotherapists in Sport and Exercise Medicine due to his experience in elite sport and further specialist education. Frank has completed courses in dry needling, manipulation techniques, diagnostic ultrasound, running retraining and orthopaedic medicine. His Masters in Sports Physiotherapy in UCD looked at injuries in inter-county footballers and hurlers. He has worked in the Sports Surgery Clinic in Santry with elite team functional movement assessments. Outside of work, Frank has represented his county in underage Gaelic football and soccer, and he has played underage hockey for Munster. Frank specialises in sports and musculoskeletal injuries and post-op rehab and is in charge of The Running Clinic here in Milltown Physio. Frank plays gaelic football with St. Michaels, and enjoys running parkruns, cycling and competing in adventure races and triathlons when not in clinic. Sharon McNally B.Physio. Lic.Ac. M.I.S.C.P. 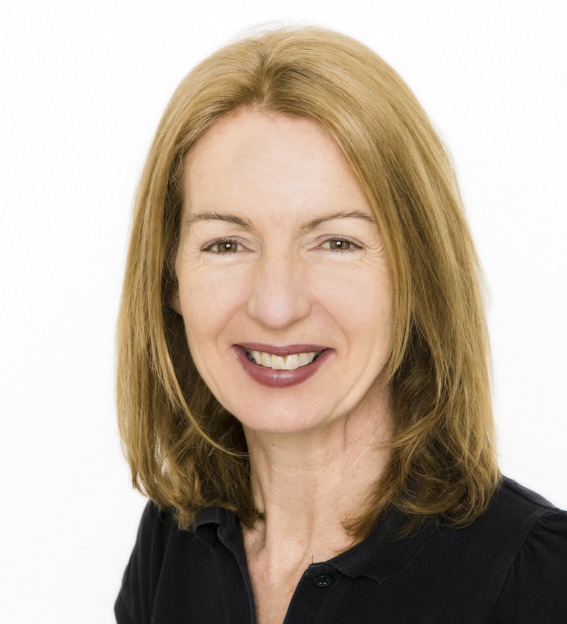 Sharon graduated from UCD in 1990 with an Honours Degree in Physiotherapy. 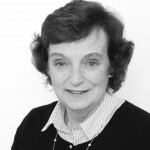 She worked in acute hospital settings in the USA and in St. James’s Hospital, Dublin until 1996 when she moved to work in private practice, specializing in musculoskeletal injuries, biomechanics and orthotic fitting.In 1999 she completed her membership of the Society of Orthopaedic Medicine. In 1998 Sharon completed a postgraduate in Acupuncture, qualifying with a Licentiate in Acupuncture from the British College of Acupuncture. In 2000 she completed a one year nutritional therapy course with the National College of Acupuncture.Sharon joined Milltown Physiotherapy Clinic in 2007. Sharon’s areas of special interest include, treatment of pelvic floor dysfunctions including incontinence, prolapse and bowel disorders, Ante and post natal pelvic girdle pain conditions . Acupuncture, including acupuncture for womens health conditions. She also specialises in orthotic prescription writing and lower limb biomechanics. Sarah Mullins BSc.Physio (Hons) MSc. (Neuromusculoskeletal physio) M.I.S.C.P. 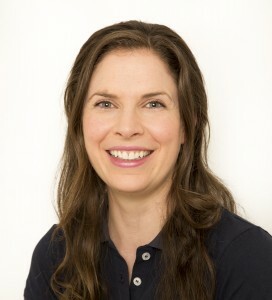 Sarah graduated from the University of Brighton in 2004 with an Honours degree in Physiotherapy. She went on to work in Waterford Regional Hospital and private practice, gaining further experience in the treatment of musculoskeletal and orthopaedic conditions, rheumatology, respiratory care and rehabilitation. In 2012, Sarah completed a Masters Degree in Neuromusculoskeletal Physiotherapy in U.C.D. where she further developed her interest in pelvic girdle pain, spine and neck pain and dysfunction, sports injuries and foot biomechanics. She has also completed a wide variety of courses in manual and exercise therapy and has trained in the practice of trigger point dry needling. 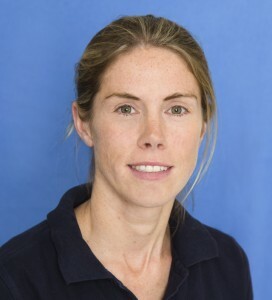 Sarah also has a special interest in women’s health physiotherapy including ante-natal and post-natal pelvic girdle pain, pelvic floor rehabilitation and rehabilitation of abdominal muscle separation post pregnancy. She is a trained pilates instructor and takes classes in Milltown. Sarah played hockey and was involved in athletics during school,she represented Dublin in athletics. She started playing rugby in college and went on to play with Waterpark ladies team, winning a national division two league title and plate in the same year. Sarah has been a keen skier and snowboarder for many years and also enjoys surfing. Eimear graduated from UCD School of Physiotherapy in 2002. She has worked in St James’s Hospital, Our Lady’s Hospital for Sick Children, Crumlin and in Sydney, Australia where she gained invaluable experience in many areas of physiotherapy. 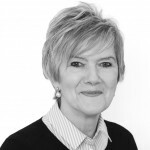 She became a senior physiotherapist in ‘Burns and Plastics’ and ‘Women’s Health and Continence’ in St James’s Hospital before specialising in musculoskeletal physiotherapy. She subsequently completed her Masters in Manual Therapy in University of Western Australia where she obtained a high distinction. On return from Australia she worked as a musculoskeletal physiotherapist and she expended the services in her clinic to include women’s health and continence. She completed Stott Pilates training and uses dry needling to treat myofascial trigger points. In addition to women’s health and continence, Eimear has a special interest in the treatment of neck and low back pain. Eimear runs on a regular basis. She has completed a number of marathons and draws on her own experience as a runner to treat sporting injuries. Gráinne graduated from the Royal College of Surgeons with an honours physiotherapy degree. She worked in Beaumont Hospital for 6yrs. She has experience in paediatric physiotherapy from her time working at the Children’s Sunshine Home and further experience in private practice. 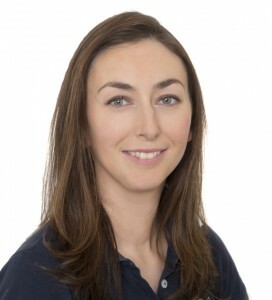 Gráinne has completed a wide variety of musculoskeletal courses to enhance her knowledge and in 2013 she completed her Masters degree in Advanced Neuromusculoskeletal Physiotherapy at King’s College London. She has subsequently gained interest in the management of chronic pain and also has a special interest in spinal dysfunction, shoulder rehabilitation and exercise prescription with a strong focus on pilates. She is a member of the Irish Society of Chartered Physiotherapists and a qualified Pilates instructor. Tara graduated with honours from UCD in 2007. After graduating, she gained extensive experience travelling and working in New Zealand and Australia for six years. 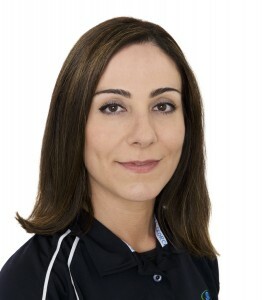 During this time Tara developed her skills as she qualified as a Pilates instructor, trained with GEMT dry needling and completed a Post Graduate Certificate in Continence and Pelvic Floor Rehabilitation from Melbourne University, Australia. Since returning to Ireland in 2014, Tara has continued her professional development by training in Cancer Rehabilitation under the Strong Pink Women Program. Tara specialises in Women’s Health for all ages and life stages, including physiotherapy for pre- and postnatal musculoskeletal conditions, rehabilitation for pelvic floor muscles and abdominal muscle separation and real-time ultrasound. Tara is especially passionate about supporting pregnant women in preparation for labour, empowering new mums for the physical demands of motherhood and guiding women to overcome the barriers in achieving their health and wellness goals. Tara enjoys keeping fit by running, Pilates and going to the gym. She began cross country running at age seven and has represented her county and province in the All-Irelands. She has won All-Ireland medals for long distance races, relays as well as rounders. Although she does not compete now she continues to run and has completed a half marathon. Jacqui qualified from Brunel university London in 2008 with an Honours degree in physiotherapy. She trained in some of the major teaching hospitals in London – Guys & St Thomas’s, Chelsea & Westminster etc. She has a keen interest in sport especially rugby and she worked as Club physiotherapist at Wimbledon rugby club for many years. Jacqui worked at Nuffield Health treating musculoskeletal injuries/sporting injuries, women’s health and post-orthopaedic surgeries. Jacqui set up a small private practice in a GP practice in Fulham, London 2013. She completed her POGP (pelvic obstetric & gynaecological physiotherapy) postgraduate qualification 2014 as Women’s health physiotherapist. 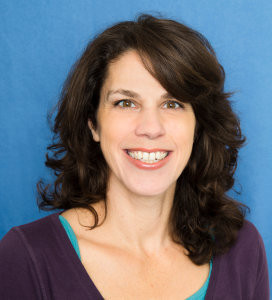 Jacqui has 20 years of experience working as a pilates teacher, she is trained in APPI clinical pilates and is an AACP acupuncturist. 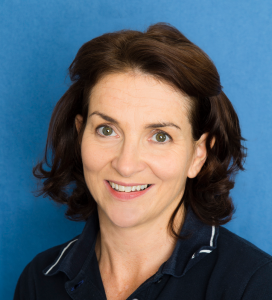 Jacqui has recently returned to her native city and is keen to pursue her career in physiotherapy specialising in women’s health and has a special interest in post hysterectomy. Jacqui played All Ireland level hockey at school and gained a sports visa to play hockey in Sydney, Australia and she has also played All Ireland level in tag rugby. Jacqui is married with two small children and she loves travelling, music and watching rugby. Aileen initially started her study of Physiotherapy in the University of Limerick in 2005, graduating in 2009 with a Bachelor of Science. Following her keen interest in Sports and Exercise Medicine, she undertook a Masters programme in this field at Queen Mary University in London in 2013. She graduated with a First Class Honours with Distinction in 2014. Following this, Aileen undertook a role at Pure Sports Medicine in London, renowned for the management of a large and varied caseload of clients from the elite athlete, recreational amateur and sedentary client. This involved a thorough and detailed assessment of the individual as well as an active approach to the management of their conditions. During this time she was involved in the supervision of Masters students from the University of London. She also participated heavily in teaching and learning opportunities for peers, colleagues as well as other health professionals such as GP’s and Consultants. Prior to this Aileen spent time in Singapore and Kerry. During this time she worked in both a hospital and private practice setting. In Kerry she worked with a number of club Gaelic football teams and the Kerry Junior football team. It was in Singapore that she undertook the Stott Pilates instructor course and she developed an interest in the role of Pilates for rehabilitation and for exercise. 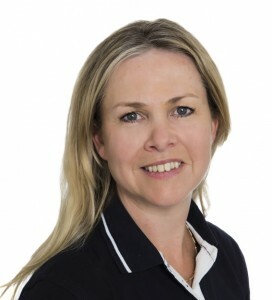 She has clinical expertise in all aspects of rehabilitation with a particular interest in post surgical rehabilitation of upper and lower limb issues, tendinopathies and low back pain. One of Aileen’s primary goals is to practise and manage each individual based on best practice as evidenced by research. As a result, she partakes in numerous opportunities to continue to educate herself further so she can provide the optimal treatment for her clients. She attends many conferences and training days annually to ensure that she is as current as possible with her approach to management of her clients. 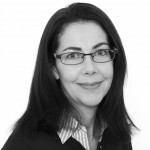 Siobhan is the owner and Director of Rehabilitation at The O’ Reilly Centre for Lymphedema, Cancer Rehab and Sports. 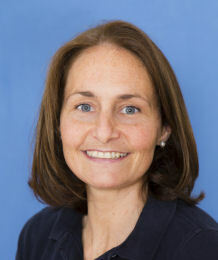 She graduated from UCD in 1982 with a Diploma in Physiotherapy. She earned her Master’s degrees in Public Administration and Sports Physiotherapy from New York University and University College Dublin respectively. Siobhan was diagnosed with breast cancer in 1996 and again in 2008. The experience inspired her to dedicate her clinical practice to cancer rehab and lymphedema patients. Siobhan enjoys mentoring colleagues in this area. She is a regular guest lecturer to the undergraduates in UCD and gives courses to colleagues in “Breast Cancer Rehabilitation for Physiotherapists”. See www.theoreillycentre.ie for upcoming course dates. Siobhan is an advocate for people living with lymphoedema and is a regular blogger on topics that enable patients to have normal lives. Articles posted on Lymphoedema Ireland’s website include, “Cancer Related Fatigue”, “Lymphedema and Nordic Walking”, “The Gold Standard of Care for Lymphoedema”, “Water Based Exercises for Leg Lymphoedema” and “Air Travel and Holiday Tips”. Milltown Physiotherapy is respected internationally for their expertise in Women’s Health. Siobhan is delighted to be located here so her cancer and lymphedema patients may also have convenient access to these invaluable services. Experienced and accessible, Michele draws on 12 years of study in a number of disciplines, delivering Yoga and Pilates classes and private sessions that range from restorative and therapeutic to powerful and energetic depending on the needs of the individuals in attendance. Michele has studied extensively with master teachers in the Ashtanga, Iyengar and Satyananda traditions in India, Ireland and the U.S including Sri K. Pattabhi Jois (Ashtanga) and Mukunda Styles (Yoga Therapy) among others. The variety in her studies over the years has enhanced her philosophy that yoga is for every body. Stefania Desini ITEC, IFPA qualified as massage therapist in Dublin in 2008 at the Holistic College Dublin earning several Diplomas. She holds qualifications in Sports massage, Holistic massage, Pregnancy massage, Indian head massage, Cupping therapy and Pilates instructor mat work. In 2010 she worked as massage therapist in a Yoga and massage centre based in Dublin gaining most of her experience. In 2014 she founded her own business specialising in Sports and deep tissue massage. She continues her training to further develop her skills and knowledge so that she can offer alternative choices of treatments to her clients.